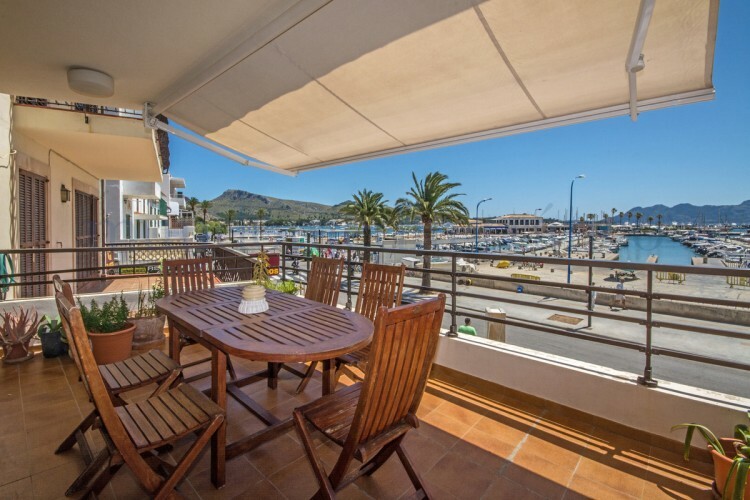 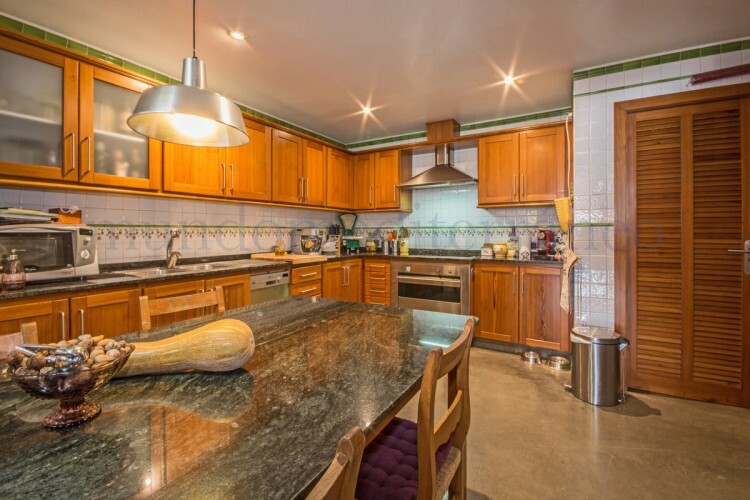 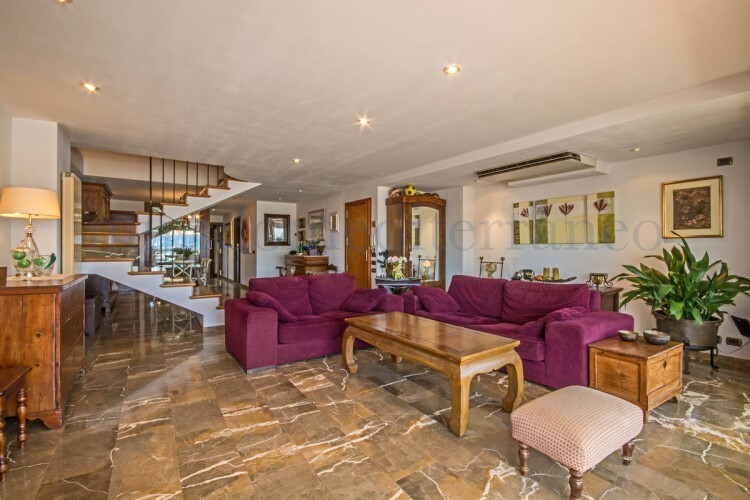 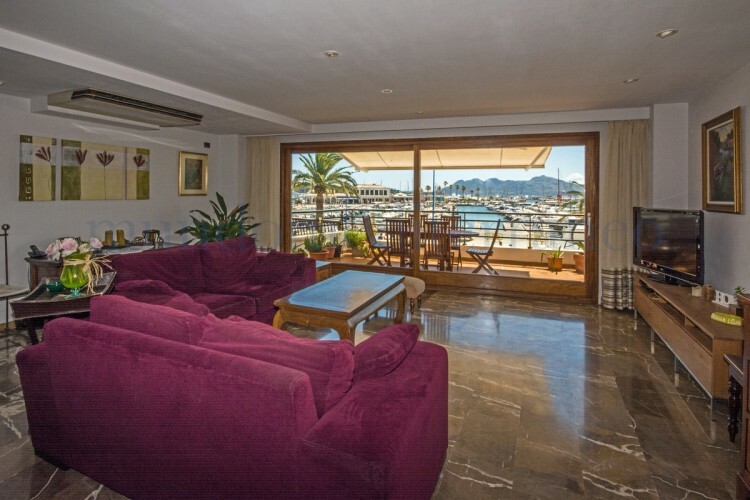 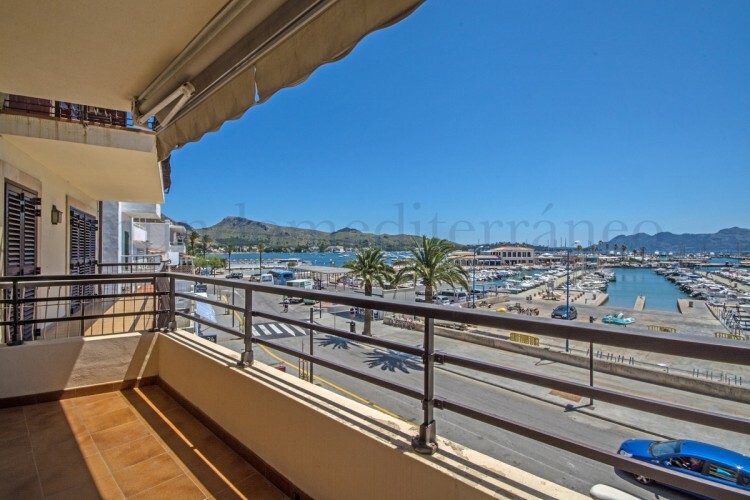 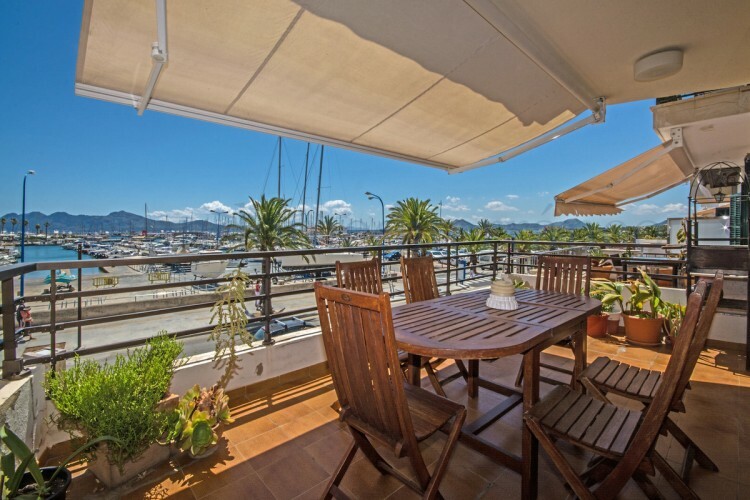 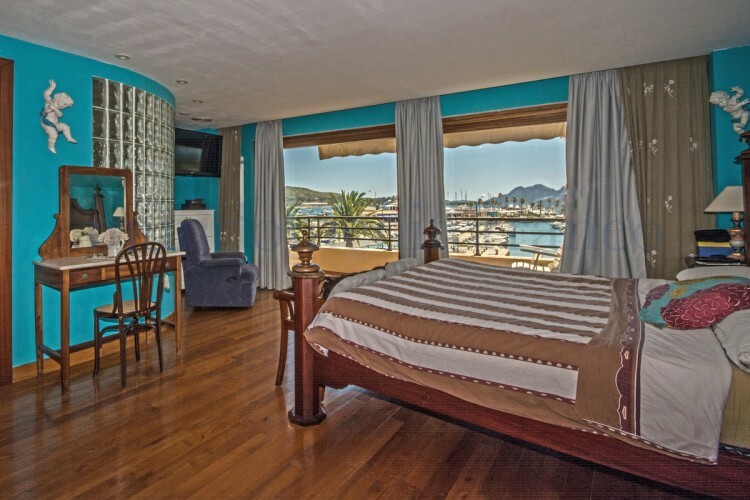 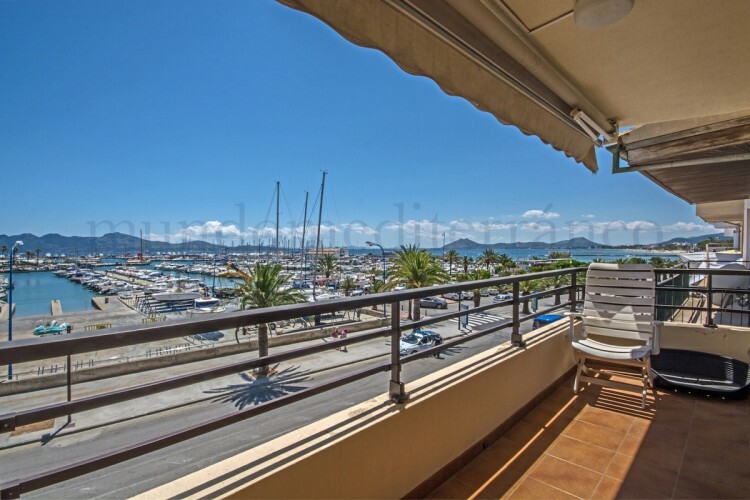 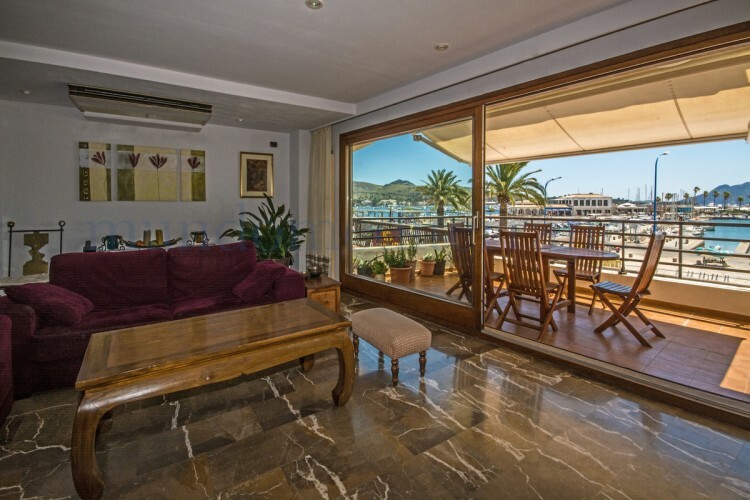 Seafront duplex with amazing views of the Marina and the Bay of Pollensa. 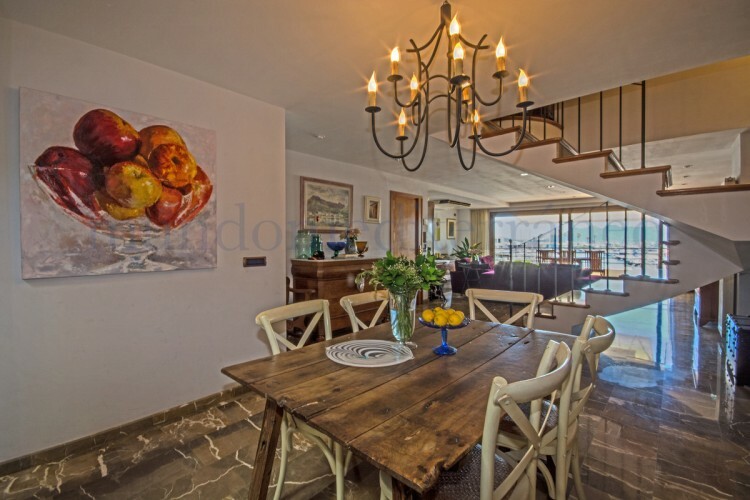 Very spacious, lots of light, top materials, ideal location, magical views, elegance...that's the property in a few words. 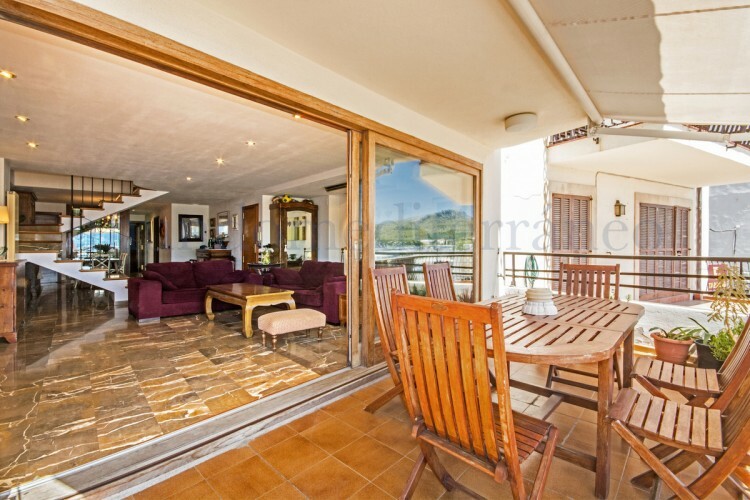 Downstairs, we enter the large living room with sliding doors/windows giving access to the fantastic terrace. 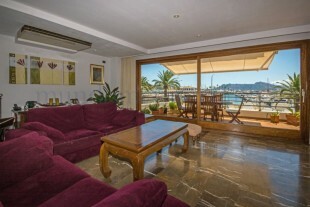 After the lounge there is a patio of light with many plants, a guest toilet and then access to the large kitchen with laundry and pantry. 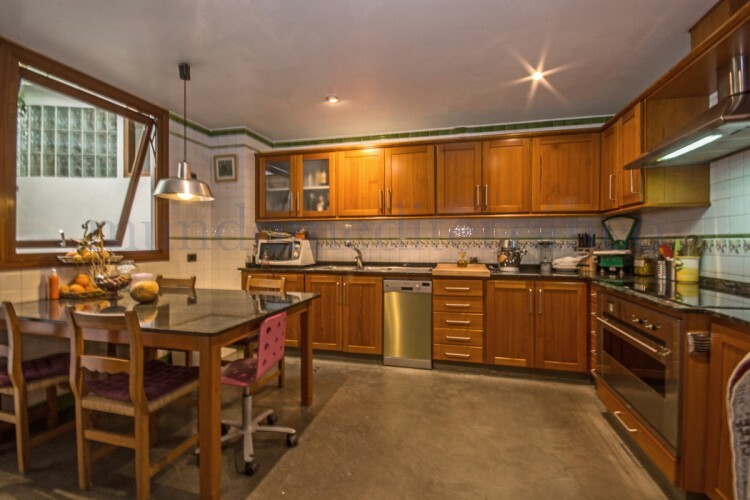 Finally there is an office or extra bedroom with large built-in wardrobes. 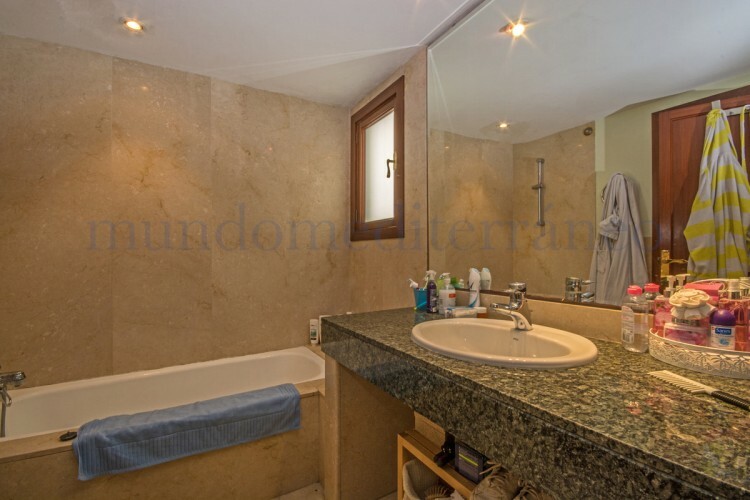 At this level, the floor is covered with mallorcan marble from Binissalem, as the staircase leading to the rooms. 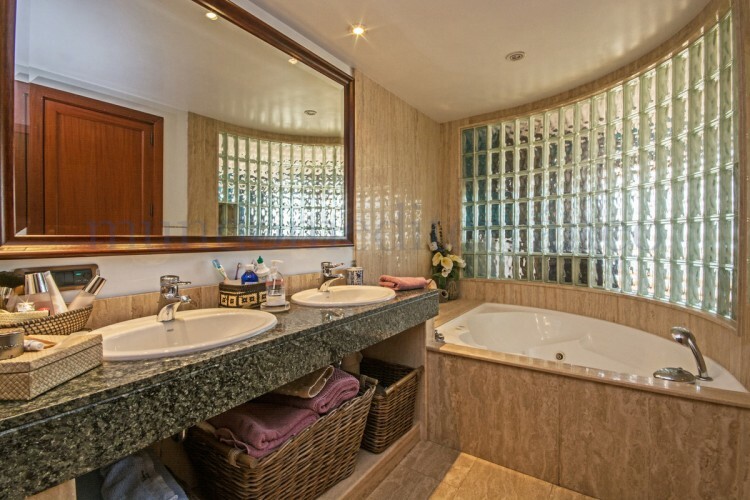 The property has central heating and air conditioning in all rooms. 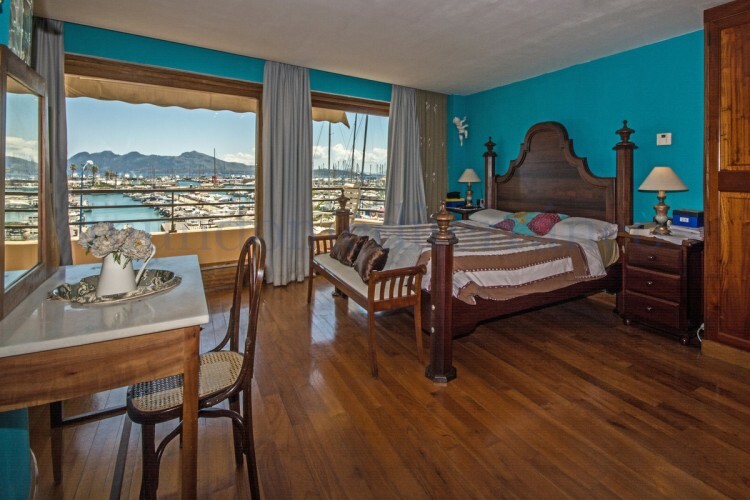 Climbing the stairs you arrive to the master bedroom en-suitesuite with terrace and spectacular views. 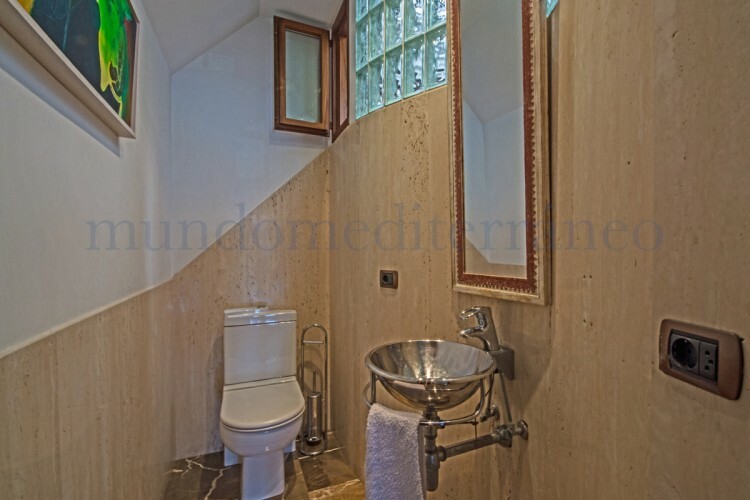 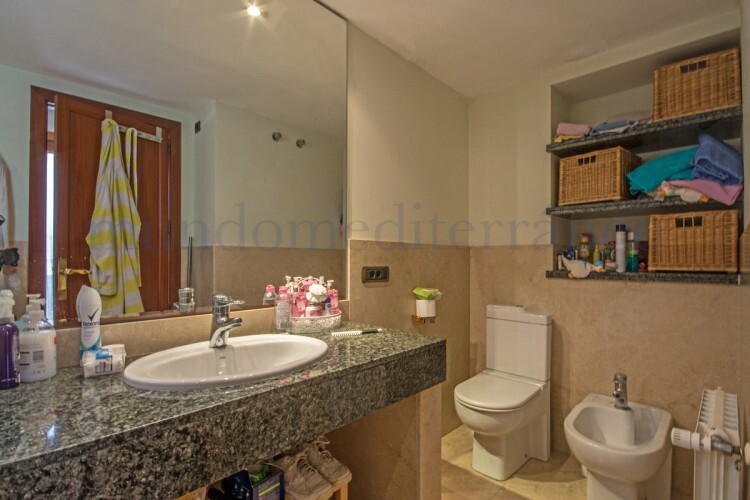 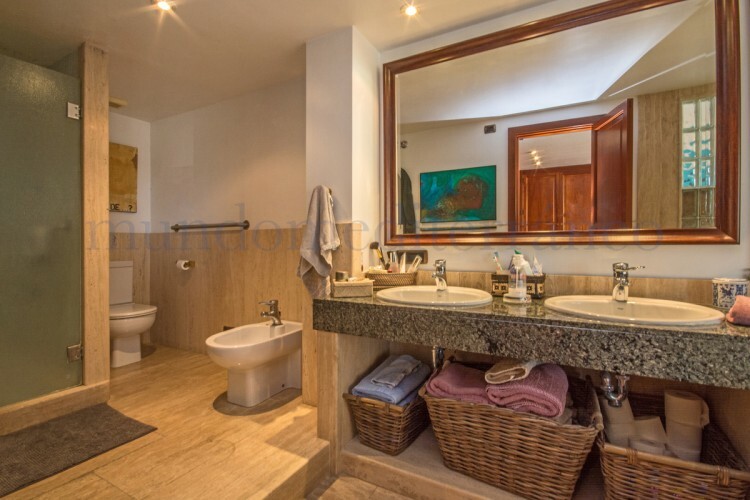 Then you reach the two other double bedrooms that share a large bathroom and a storeroom. 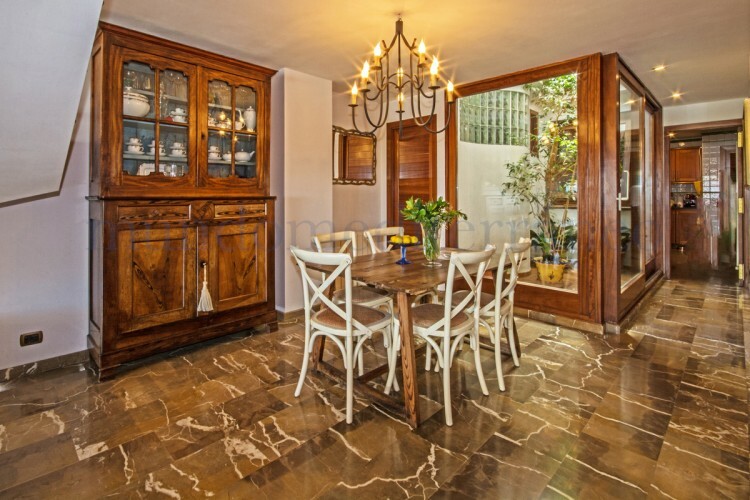 The floor upstairs is covered with parquet for a warmer and cosier feeling.